This is the ninth in a series of repeated posts (e.g. published elsewhere before) from outside of China, detailing the start of my expatriate life. There will always be a post a day about China so if you’re not interested in other material – you can stop reading now. 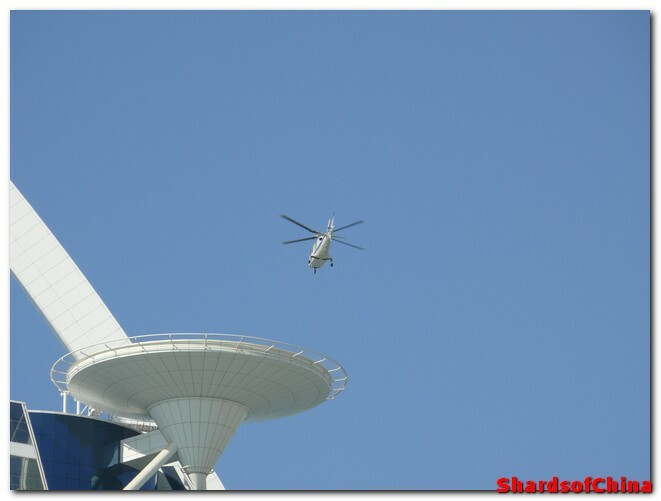 Yes, really - Burj Al Arab and helicopters - but sadly it wasn't to be that day. The instructors have had enough but they decide it will be a great idea for us to keep doing stupid things. They give us a bag load of strange instruments (musical ones) and divide us into teams, we have to write a song using only the company name for a lyric, and the instruments in the bag for the music. Then they tell us there is a fabulous prize for the best entry (they refuse to tell us what, leading people to believe it will be better than it actually is, after all last time the company offered a prize in training it was a 3 day stay in the Burj-Al-Arab the world’s nicest hotel and a helicopter tour of the city) and then sod off to sit in their air conditioned cars leaving us to flounder. This is a mistake. A big bleeping mistake. Most of us don’t give a toss anymore – we are dehydrated, hungry, and bored stiff. We all have the musical talent of asparagus, and don’t want to play anymore. However, a few intrepid souls motivated by the thought of that amazing prize are determined for us all to participate. A slight Indian lad is leading the charge in our team; he’s telling everyone they’ll have to walk home if they don’t take part. One of my Emirati colleagues a squat pugnacious lad with a hint of professional boxer about him, laughs in his face. The Indian guy quite naturally responds by telling him to go and procreate with himself. This is a bigger mistake than the exercise we are doing, Arabs do not like being sworn at, at all, it is a far bigger insult than our Indian colleague realises, until he is punched in the face. A brawl ensues, with everyone from the team taking sides and squaring up to each other, leaving me to play peacemaker. I am holding on to both of them, and trying to keep them apart at arm’s length while pointing out how stupid it would be to get fired on a team building day. Though even I will admit it has descended into team-beating now rather than team building. They calm down eventually and someone goes to tell the instructors we are withdrawing from the event. And here's an actual helicopter taking off from the heli-pad on that world famous hotel. The day ends with a slideshow of pictures taken during our ritual humiliation; even scowls from the management team cannot prompt anyone into action for a round of applause at the end. This is the eighth in a series of repeated posts (e.g. published elsewhere before) from outside of China, detailing the start of my expatriate life. There will always be a post a day about China so if you’re not interested in other material – you can stop reading now. Now we are off once more running around in the heat, conducting a series of stupid physical exercise that involve throwing your team mates headfirst into the sand, and other such joyous moments. The women refuse to participate in this activity as it will involve shifting their abayas (the long flowing black cloak that most Emirati women wear to conceal their figures) into undignified and possibly revealing shapes. I volunteer to keep them company. 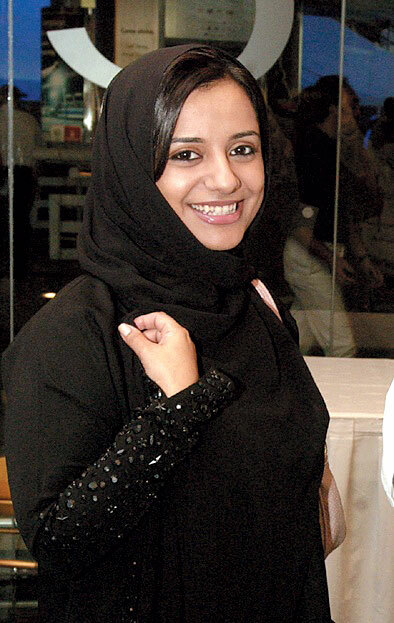 Forget those ridiculous Western prejudices (if you had them) - Emirati women work and contribute fully to society - this is Nayla Al-Khaja and she's a film maker. They are lovely, not only are they stunningly beautiful as most Emirati women appear to be, but they have a great sense of humour. We sit around joking and laughing, until I realise that I may be committing professional suicide from the scowls of the Emirati men who are all glaring at me. So I make my excuses and go and carry a plank on my nose for a while in the “great” team building game currently ensuing. The water is foul, warm water in plastic bottles is beyond disgusting. So no-one is taking in enough fluid to match the ridiculous sweat pouring from them. You can feel a certain tension slipping over everyone which the organisers are desperately trying to ignore. After an afternoon’s worth of stupidity, the sun goes down, and we all fervently hope that this is now over and we can go home. Not a chance. You may have heard that days in the desert are hot but at night it is very cold. Whoever told you that has never been anywhere near the UAE. In the humid climes of the Emirates, Bahrain, coastal Saudi, Qatar, etc. it stays hot and gets even more humid now the sun is no longer supplying any motivation for evaporation. The evening meal comes, and is frankly speaking rank. Most of us avoid it like the plague, the brave few who venture forth will be counting coup on their own bowels in the morning. There is still nothing worth drinking available either. This is the seventh in a series of repeated posts (e.g. published elsewhere before) from outside of China, detailing the start of my expatriate life. There will always be a post a day about China so if you’re not interested in other material – you can stop reading now. The training day was in Ras Al Kaimah, which is another emirate and not in Dubai. 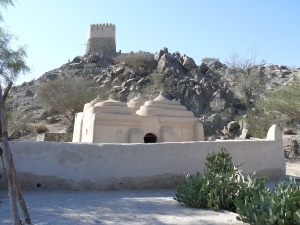 This is the world's smallest mosque - which is in Ras Al Kaimah, and is quite lovely. It’s a boiling hot summer’s day, 40/45 in the shade, and demonstrating all the genius of the average trainer, my colleague who booked the day has arranged for the whole day’s events to be conducted outdoors with no access to AC at all, and a hot sweaty tent for shade. If this was not bad enough there is also no access to cold drinks, the water supply has been left in direct sunlight in plastic bottles for a good long while and there is no refrigeration at all. The day starts well though, with the obligatory speeches from a senior management team, who with only one exception manage to deliver short and interesting and better still, amusing pieces to the assembled mass and everyone is feeling pretty good. Then we are off to the first exercise, synchronised drumming, with us as drummers. This must have seemed a better idea on paper, than it turned out to be in practice. With a consumer team made of young energetic people I am sure this would have been great fun. However our Enterprise team is made up of middle aged men and women, who are techy, geeky and with all the sense of rhythm of an epileptic in the bath. Everybody perseveres and tries to look like they are having a good time when the gaze of management turns upon them, but it is crap and we know it. We are then paired up at random, I am paired with a very serious, very heterosexual, very manly, and very funny Syrian chap, who looks a bit like the blue eagle faced Henson creation from Sesame street (without the blue of course). To our absolute delight, our next task is to paint each other’s faces. Neither of us feels like participating in this particular “trust” activity, so we decide that we will each put one line on the other’s cheek, and then go and wash our hands after this “suspect” breach of our manly code. This is what much of the emirate looks like, and it was in a fairly similar setting that we undertook our team building event. We return from washing our hands, to be told we need to add more paint, gritting our teeth we do, neither of us is sure how this is going to help us be part of a better team, but we do because management are watching again. Did I mention it was hot? It was also humid. Five minutes later the paint is running off of me in a river of sweat all over my nice white company t-shirt, I now appear to have arrived at the party after butchering a clown. I’ll pick up with more from this day, tomorrow. Thanks for reading. This is the sixth in a series of repeated posts (e.g. published elsewhere before) from outside of China, detailing the start of my expatriate life. There will always be a post a day about China so if you’re not interested in other material – you can stop reading now. After 6 months I get a promotion. I am given a considerable pay rise and now qualify for holiday pay and relocation from the UK, I phone the UK and have my stuff stuck on a ship a couple of days later. Unfortunately, I have to give up my wonderful apartment and sort my own out. 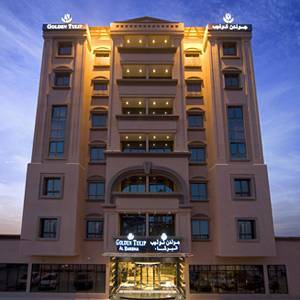 Our apartment in Al Barsha was wonderful and we lived just round the corner from this hotel - The Golden Tulip, where we spent many an evening watching Premiership soccer as the Liverpool fans all drink somewhere else. This is when I realise I have not been paying enough attention, because not only are apartments insanely expensive (more than the pay rise) but you have to cough up a year’s rent in advance. The company will lend me 6 months of this, which is not enough when you have spent everything else you have earned on beer. I weep a little, and my colleagues snigger a lot. A friend of mine lets me sleep on their sofa for 2 months so that I can save enough to pay the rent. They are a wonderful couple who not only tolerate me, but let me drink their booze and cook me breakfast every day and give me a lift to work too. Their home is beautiful, a massive four bedroom villa secured at a very low price, 5 years before, so that their home costs less a year than my poxy apartment will. I’m happy for them nonetheless they have pets and things, whereas I have a CD collection and this will fit in the apartment (just). The Mall of the Emirates in Dubai, the biggest corner shop I've ever known. It remains one of my favourite places in the world, and the bar in the Kempinski hotel is the only place you can smoke in the whole thing now. So I find a nice unfurnished apartment in Al Barsha, behind the Mall of the Emirates (which is officially the largest mall outside of North America when I move in, when I move out Dubai Mall is now the largest mall in the world and the Mall of the Emirates seems a little pokey in comparison), it is in the middle of a building site which works all night. I don’t care though, I can sleep through a nuclear holocaust, my then partner cannot but I forget this when I sign the lease. As you may have gathered working in Dubai was a wonderful experience for me, the job was actually interesting and varied. I moved on from product training to soft skills, where I spend much of my time handing out varying levels of abuse to sales people who though very keen didn’t appear to have the basic skills to survive. They take this pretty well though and I enjoy a reasonable amount of personal popularity in the Enterprise team despite my occasional rampage through someone’s feelings. This is the fifth in a series of repeated posts (e.g. published elsewhere before) from outside of China, detailing the start of my expatriate life. There will always be a post a day about China so if you’re not interested in other material – you can stop reading now. 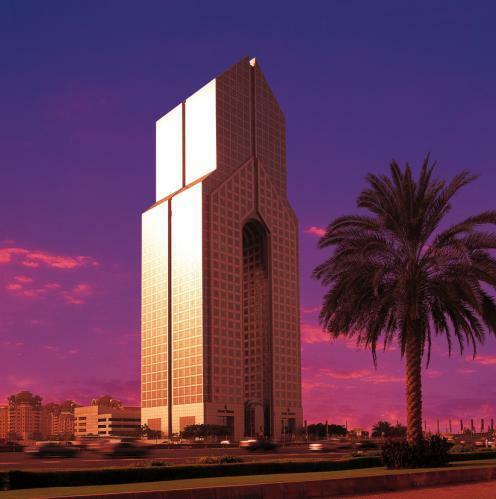 Training delivery is the best job in Dubai when you work for a rich company with no office space. 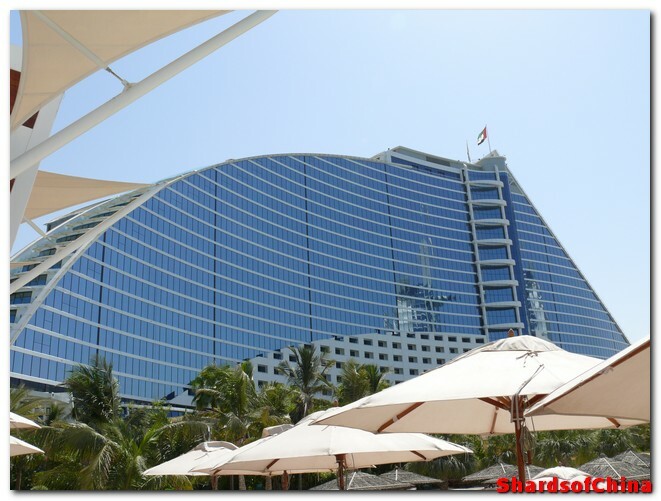 The Dusit Hotel in Dubai, one of the best hotels I have ever had the privilege to set foot in - immaculate service with a smile, and it's pure luxury inside. They send me to every 5 star hotel, The Hilton, The Radisson SAS, The Fairmont, The Kempinski, all of which have the delights of great lunches paid for by the company. But the best of all is the Dusit, where a wonderful Thai chap greets me at the door every day, confiscates my bags and runs off to set up my laptop, projector etc. and neatly refile all my handouts and organise them for later. Meanwhile an extraordinarily gorgeous Thai lady leads me to the land of luxury breakfasts (if anyone was wondering why I am a lard arse, this has a lot to do with it), where I am fed and pampered, stuffed with espresso and allowed to smoke like a chimney. For lunch we dine on the 40th floor overlooking the whole city, on international cuisine and as much non-alcholic stuff as you can drink. When we return after lunch, there are hot towels on the desks, wrapped in little orchids. At the coffee break, we are plied with more delicacies, to return to bowls of really nice chocolates on the desk. At the end of the day the manager takes me for drinks to try and persuade us to use the Dusit more often. I like this very much indeed. Compare this with the UK where you never take a company training course outside unless you bring in an external facilitator. Where you must set everything up yourself, and act as tech support if anything goes wrong, and if you’re lucky you get a pack of crisps and a cheese sandwich for lunch. I am in heaven. As we approach launch, my work schedule gets a little busier, until the dreaded cry goes out for weekend working. I immediately stack my social calendar for weekends for the next 3 months, and then explain to my boss that I am booked solid and cannot co-operate at all in this. I still can't get over how well treated we were by the company in Dubai. 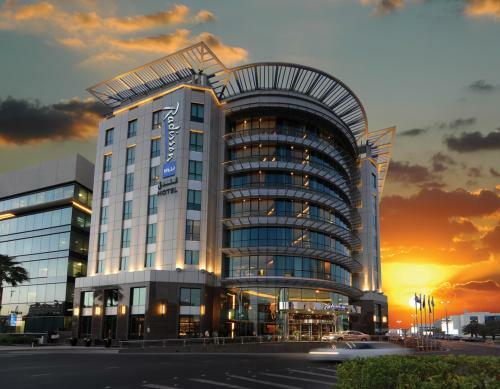 This is the Hilton Hotel in Al Ain, which is lovely in the extreme. 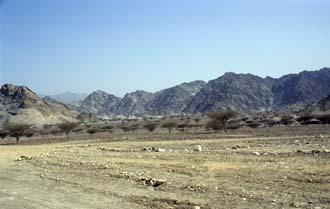 He wrings from me a concession to work 2 days in this period, the first of which is in Al-Ain a 2 hour drive away. I agree on the condition that the company picks up the tab for all my expenses, he agrees and I order a limousine (which is cheaper than a taxi) to take me and my girlfriend there and back. The training takes 2 hours; I then head off to The Hilton where for around 10 quid, we spend the day by their pool sipping cocktails. I charge these to the company, and I charge them for the limo home. This is the fourth in a series of repeated posts (e.g. published elsewhere before) from outside of China, detailing the start of my expatriate life. There will always be a post a day about China so if you’re not interested in other material – you can stop reading now. Of course things changed in the second month, the business finally seems to realise that we are here, and we are put to work. Did I mention that though much of Dubai is beautiful - it's also brand new. 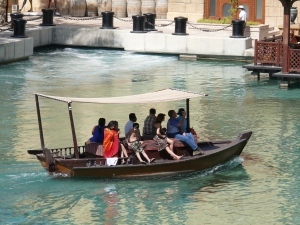 Here you can see a traditional Abra (water taxi) - which has been faked to put in a hotel complex. I am dismayed to learn that despite my background in systems, product and soft skills, they want me to become the “process” trainer. A fate worse than death, it is to this individual that good ideas are sent to die, in particular they want to train everybody, in every process including all the bits that don’t concern them. Or… in layman’s terms, they want me to lock people up and feast on their souls while showing them long boring flowcharts for 3 days at a time. I immediately resolve to get rid of this task because I do not like being spat on by my colleagues. I am also given the unenviable task of creating the training plan for the Enterprise (or business sales) division. And it is this job which I must start immediately, so I am sent to a meeting with around 30 people to determine the systems training needs for the product marketing team. 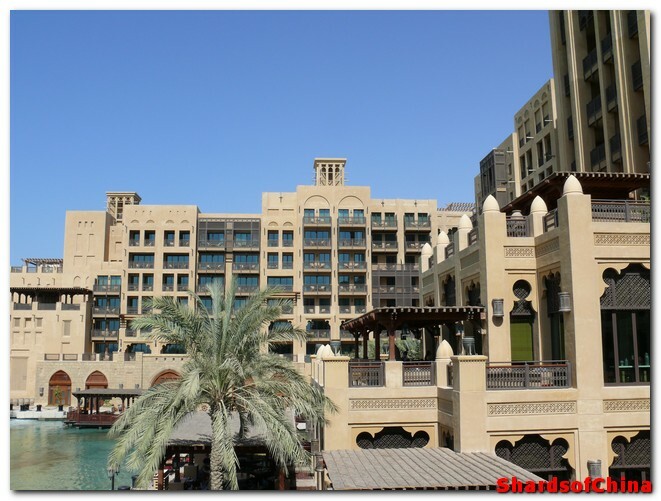 I'll level with you now - there are going to be no pictures of the company or the people who worked there, so please take a second to marvel at the Madinat Jumeriah instead. Oh dear, what on earth have I got myself into? Luckily for me, his team resent him, and are in jovial spirits after the meeting as they feel I have come off best in the exchange. I go out to lunch with them all and during lunch I persuade them it is essential that I become the product trainer for the whole business and that they must insist on this with HR, they agree and the nightmare of processes are passed onto another trainer. Unfortunately for them, they will mess this up even worse than I would. Mainly because they have no idea how to train, and a three day course is way beyond their skills. But never mind this is no longer my problem. From then on, it’s all plain sailing, product training is the easiest thing on earth, you steal the manufacturers material, re-write it a little, pretend that you’ve worked for weeks and then go out and deliver it to everyone in the business. This is the third in a series of repeated posts (e.g. published elsewhere before) from outside of China, detailing the start of my expatriate life. There will always be a post a day about China so if you’re not interested in other material – you can stop reading now. The next day, I arrive at 9, and wait again with my new colleagues, we have no desks, no PCs and our boss is absent again. He turns up at 2, gives a 5 minute welcome speech and disappears for the day. By this point I am considering getting on a plane and going home again. Yes! 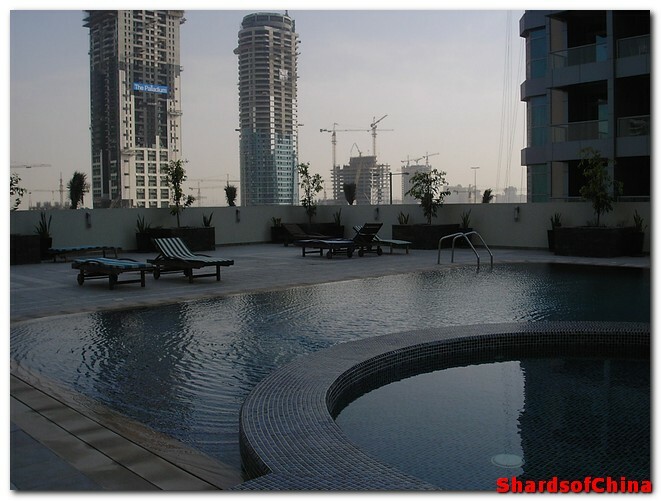 The apartment comes with a swimming pool! It really was lovely. Again we don’t see him again for the rest of the day. But, on the bright side I finally have keys to an apartment provided by a lovely person in HR, the bad news is she doesn’t know where the apartment is except it’s in Dubai Marina somewhere… there are over 200 apartment buildings in the Marina, this does not instil confidence. But never mind, surely a taxi will know where to go? Not a chance, the taxi driver angrily berates us for being idiots and spends 3 hours driving around to find the building. By which point I am contemplating suicide as the solution to my career and money issues. But the apartment is wonderful, it’s on the 18th floor of a brand new building, it has one bedroom, a kitchen and a living room, with brand new state of the art furniture, and a TV, DVD Player, Internet Connection and Sound System. I almost weep, this is an amazing place, how highly must they think of us to put us up here, it’s better than my house in England. 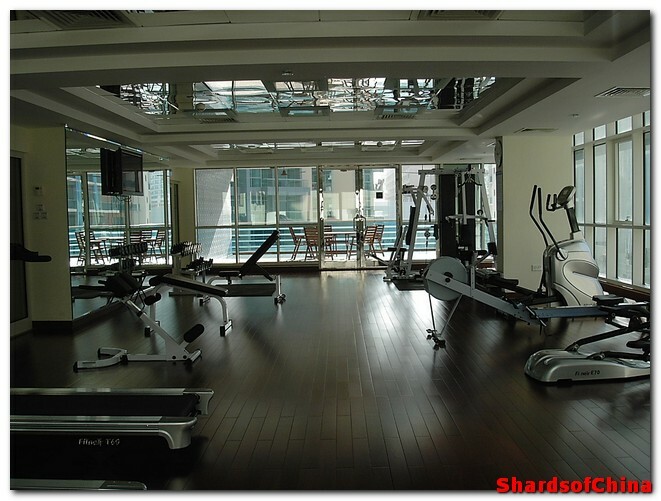 This was the gym, a wonderful place. And yes it was always this empty too - apart from the lady with the nice bum, I never really saw anyone else in there during my stay. There’s also a brand new gym with all the latest and greatest machines (I lost 2 stone in my first two months living there, and got to see a lovely bottom every morning bouncing up and down on the running machine in front of my preferred exercise bike, and I will always be grateful to that lady she incentivised me to use a gym far more than any of the cool stuff in there…), and a rooftop swimming pool which is superb. It takes us a week and a dozen angry tirades from taxi drivers to work out the route to work and back. We do not see our boss for the rest of the week and we still have no desks and PC’s. This is fine, we have now established the traditional method of Arabic working, come into the office late, talk rubbish with your colleagues for 30 minutes, and then disappear off to the coffee shop for 2 hours (espresso, cigarettes and if you’re really lucky Cinabon for breakfast), return to the office for 30 minutes talk some more rubbish, head off for a two hour lunch break (food is excellent, cheap and bountiful in Arabia, there are always at least 10 restaurants within 5 minutes’ walk), come back for another 30 minutes of talking rubbish, go for another 2 hour coffee break and come back to the office to say goodnight, leaving at least an hour early. There a few other challenges that we face that week, we have to go and do our medicals, everyone is praying they do not have AIDS (if you are HIV+ on your medical in any Gulf state you will be arrested in the office and deported immediately, there is no appeal). Then we have to surrender our passports for the visas we need (this will take a month, so you’re committed to not fleeing the country for at least that long at this point) and opening a bank account (insanity, we are all on 6 month fixed term contracts, we are all immediately given credit lines equivalent to 3 years’ salary, I wonder why so many expats leave without paying it back?). This is not as stressful as it seems, as each activity is conducted at our office, except the blood test for which we go to a state of the art medical centre (which is better than anywhere I have ever been in the UK). Finally in the second week the boss stays for more than 10 minutes, he arranges our desks and our PC’s and Internet connections. He then slopes off again and we won’t see him another 3 weeks, we stop feeling bad about doing no work in the second week and get into the swing of things, this is better than any job in the world. 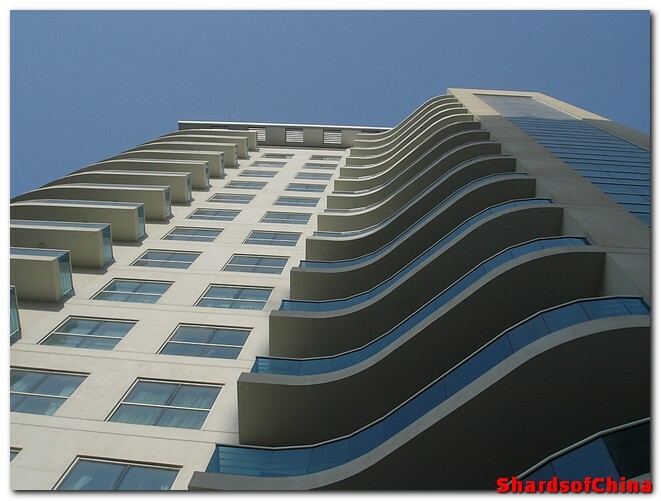 A look up the building which was to be my first home in Dubai - Cascades in Dubai Marina. The company is a fantastic place to work, they pay for nights out all over town (no alcohol but always next to a pub), we come in to find chocolates on our desks in the morning (not quite as good as on my pillow but very wow nonetheless), we get free t-shirts, we get free memory sticks, and we are given very expensive Cross branded pens. We have still done no work whatsoever. What will it be like when they finally ask us to contribute? Who cares? We are now all leaving the office at lunchtime and going shopping or to the pub and not coming back, we have got our local mobile numbers (the ultimate challenge in the region, back account easy peasy, pre-paid SIM card equivalent to completing all the hassle of applying to Oxford Uni) and are prepared to return in an instant if anyone should care. They don’t. We love it. In the mornings we are on the Internet researching more cool stuff to do in Dubai. It was by far the most bizarre start to a job in my life, but a lovely one, who could complain? Certainly not us, we weren’t in the office for long enough to see anyone to complain to. This is the second in a series of repeated posts (e.g. published elsewhere before) from outside of China, detailing the start of my expatriate life. There will always be a post a day about China so if you’re not interested in other material – you can stop reading now. I was looking for overseas work, but I’d really expected to go to Germany or the Netherlands or France, not the Middle East. But after running through the numbers, which were very generous, and seeing the rather lovely apartment in Dubai Marina they would give me to live in, it seemed churlish to refuse. Two more interviews followed, it was clear they had no idea what the job was or what skills were required, but that they liked me. The job was offered and I was told it was very important I started immediately, but I would need to complete a UAE background check before I could go, which they would get out to me that day. I assumed it would be and filled in the paperwork on the Monday when I got back. 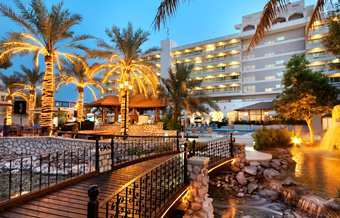 Thursday night at around midnight I received an e-mail, my flight was booked for the next morning for an 8 a.m. flight from Manchester, and I had a hotel booked in Dubai Media City for 3 days following my arrival. Nice, not. I ran round the house in a mad panic, lobbed stuff in a suitcase. Kissed my girlfriend goodbye and ran for the airport. 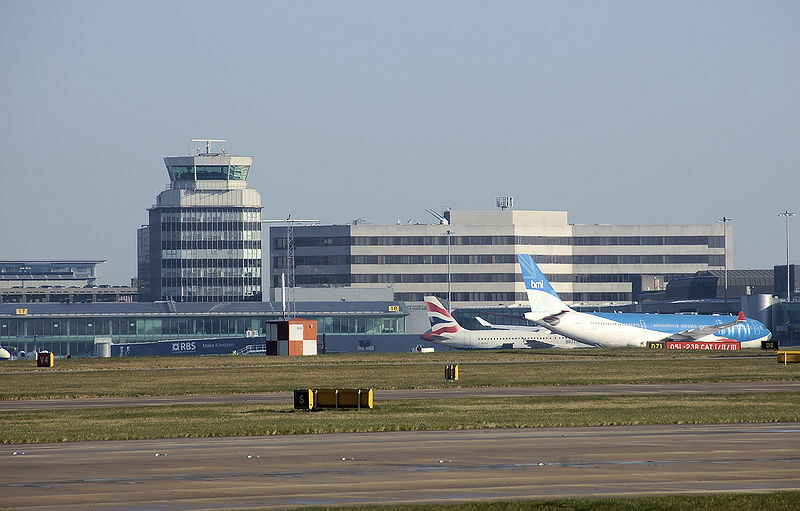 To encounter the total chaos caused by the “liquid bombers” at Heathrow that week. They stripped me of everything I owned except my wallet, which went in a plastic bag, and off I went. There were no contact details for the office in the e-mail, no address, no phone number, nothing and they had always phoned me. So I assumed that these would be waiting for me in Dubai, wrong. I spent the next two days in a panic trying to reach my recruitment consultant to find out where on earth I was supposed to go on the Sunday; of course she was on holiday just to prolong my agony. Thankfully she came back late Saturday, told me the office was literally behind the hotel (correct) and that working hours were 7 a.m. to 4 p.m. (utter nonsense as it turns out). It wasn't all bad, I got to stay in the lovely Radisson Hotel in Media City in Dubai - which would become my regular after work drinks location. So I tear my jet lagged posterior out of bed at 6 a.m. (2 a.m. GMT) and head off to the office, which is empty. I sit and wait, and wait, and wait some more (this is the essence of life in Arabia; you wait a lot, often and for no purpose). Finally at 9 a.m. some of my future colleagues turn up, who join me in my waiting. Finally at lunchtime our new boss arrived, said hello and told us he would be back soon. He didn’t come back all day. No food, no water, it’s hot even inside (the A/C reduces the temperature to a bearable 28/30 ish, which is still pretty hot for those of us from the UK) and we sit doing nothing all day. I am beginning to understand the local interpretation of “urgency”. 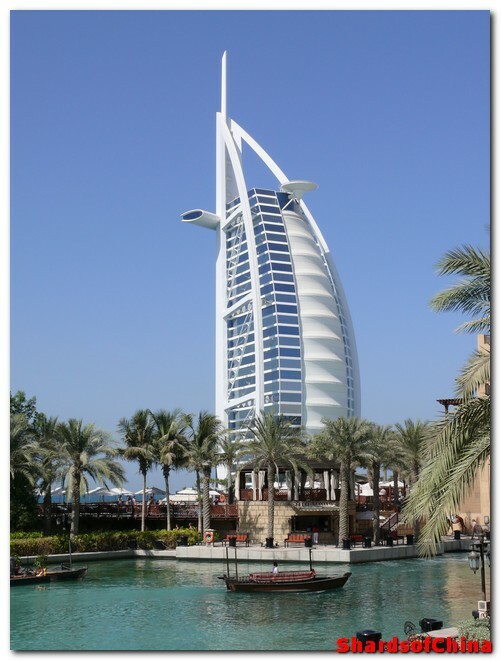 Dubai is Disneyland for adults, a brand new plastic fantastic city in the desert, still growing up and up and up, it has the world’s tallest hotel and the world’s tallest building both strangely called The Burj even though they are miles apart and owned by different folks. Really it's Disney for adults, everyone has fast cars, and fast boats, and it's quite lovely too. It’s hot and really humid, I landed at 3.30 in the morning on an August day, it was a measly 38 centigrade and 70% humidity and like an absolute idiot I was wearing leather jeans. I thought I was going to die before I made the comforting air-conditioned interior of the airport. The next day the thermometer in the taxi I took downtown topped 55 centigrade and it was still humid! Summers are hell, but the good news is everything is air-conditioned to the point of freezing, and speaking of freezing inside the world’s “largest mall outside of America” you can see them throw away millions of pounds worth of energy a day on the world’s only snow covered indoor ski slope in a desert. Winters are great though (there’s no real spring or autumn to speak of just 4 months of winter and 8 months of summer) and it’s great to sit outside at night with a few beers and watch the world go round. Dubai makes you feel like you’ve joined an elite club when you arrive. In the UK, my girlfriend and I struggled to make ends meet, suffered from debt problems, and barely went out more than once or twice a month. 3 Weeks after my arrival in Dubai I went to the Ritz-Carlton and sipped champagne on the beach while eating foie-gras and caviar… this is a typical Dubai weekend, someone else said it first (though I don’t remember who) but you know you are tired of Dubai when you find yourself drinking free champagne and start bitching about the quality of it. When you first get there it’s overwhelming, there’s so many wonderful man made things to see, Ibn Battuta mall (themed as 6 different countries inside, an interactive exhibition of Islamic science and travel running all the way through, and an innovative ceiling that makes you feel like you are wondering about outside), the Burj Al Arab (the world’s only 7 star hotel, at least that’s what the blurb says) where you can take a submarine to a restaurant, or if you can meet the measly $5,000 a night price tag for a room you can have a private butler and a menu of pillows to choose from… and so on. And if the high-life isn’t there, then there’s always Dolce & Karama (well just Karama really) to go and buy fake designer stuff at minuscule prices. And don’t be fooled most of it is not the usual crap fakes, nip into buy your CK jeans and they are tailored to fit, all for less than 20 quid. Or a ride across the creek on a traditional Abra (small boat thing) for 20 pence, a price which hadn’t changed in 20 years, though it has recently gone up to 40 pence… stop in at the Spice Souq to be assaulted by a million aromas of stuff that looks great but you have no idea what to do with in the Kitchen. And there’s nightlife a plenty, from Trilogy which may be the world’s poshest nightclub, or 360 which is a circular night club floating on the sea just below the Burj Al Arab (seeing the drunk British girls make fools of themselves here reminds you of why you are glad you left home), to the sleazy Phillipino rock covers bands in hotels like the Majestic (my spiritual home in Dubai). And you never have to be lonely, the ladies of the night come from every corner of the globe to keep you company, and often for less than the price of a bottle of wine in Dubai. The wave form hotel that sits next to the sail form hotel - architecture is pretty cool in a country where cost was no object. And that’s the trouble, as nice as Dubai is, everything and everyone is for sale. The vast majority of expats are on their first assignment overseas and are running away from something and towards an indefinable something else. There’s no sense of community or togetherness like there is in other expat destinations, you’ll make a few friends, drink a few beers, but they’ll be gone tomorrow and they’ll have forgotten you. I’m lucky not only did I meet my wife in Dubai, but I formed some wonderful long-lasting friendships, but most don’t and leave feeling cheated. Because underneath all the glitz and razzmatazz, Dubai has no soul. 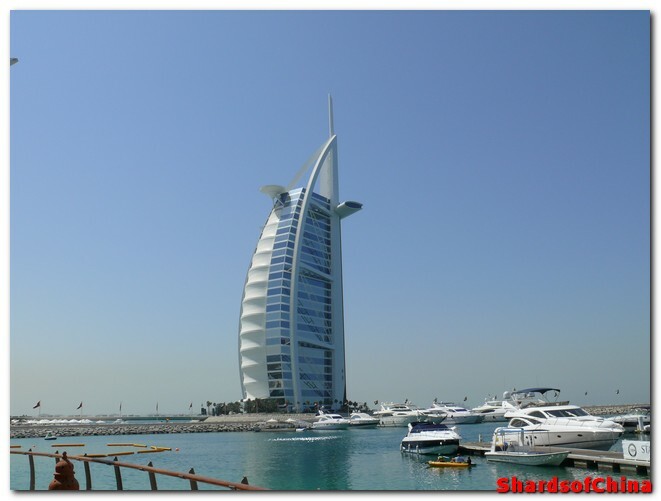 Dubai – Switzerland in the Middle East? The emirate of Dubai is only marginally older than I am, having been created when the UK pulled out of the Gulf back in 1971. If you could go back to 1971 even briefly you’d be shocked at how little was actually there in this sandy corner of the world. One high rise building (the world trade center) and a road, and that was about it. 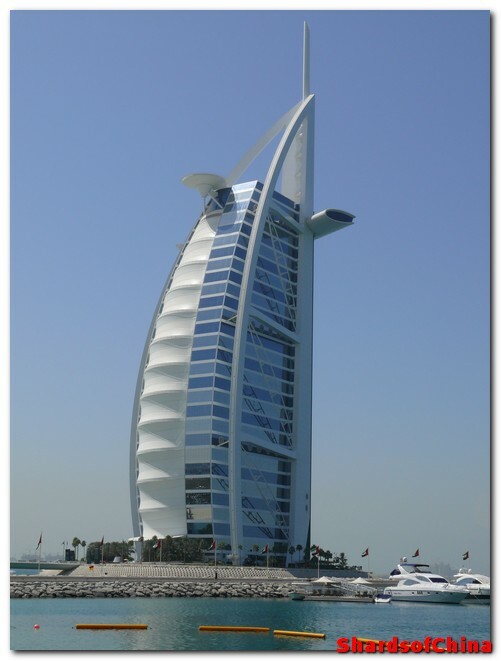 The Burj Al Arab may be the world's most iconic building - it's certainly been the most easily spotted building in Dubai, until they built the world's tallest tower. Fast forward to today and it is one of the globe’s most modern cities and destinations. You have the world’s largest shopping mall in the form of Dubai Mall, the world’s most iconic hotel in the Burj Al Arab, and the world’s tallest building now called the Burj Khalifa (named after the royal family in Abu Dhabi, after they bailed Dubai out in the global financial downturn). 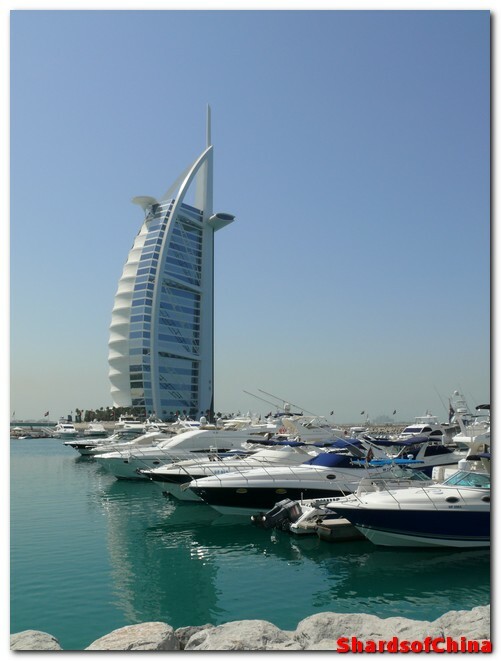 All around the emirate you’ll find five star luxury, with the finest five star hotels, infinite shopping experiences and an assortment of the best cars that money can buy zipping between them. The local Emiratis are happy, and generally kind and interesting people. This is amazing because if ever there was a country swamped by immigrants – it’s Dubai. There are nearly 2.5 million people living in the sand by the Gulf and only 200,000 of those people come from there. This is a very useful statistic to quote when people tell you their own country is “swamped with immigrants” – no it’s not, and even if it was it’s perfectly possible to have a great place shaped by locals and immigrants alike. Just to refresh that number – Dubai’s Emiratis are outnumbered in their own country at a ratio of 11 to 1. 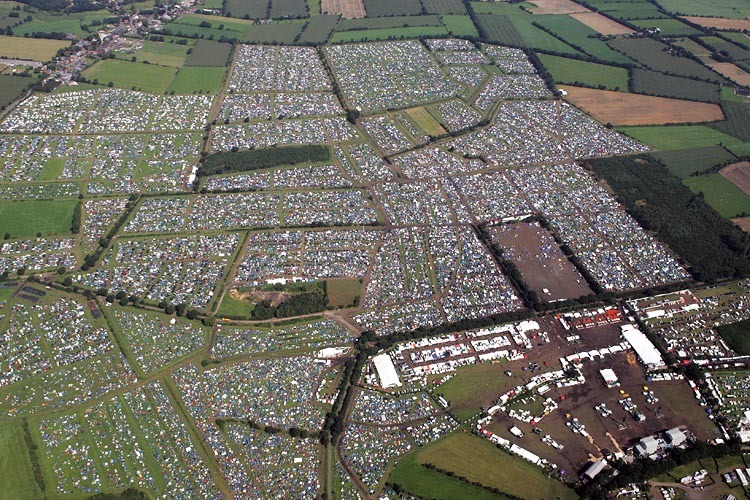 Here it is again from the other side, breathtaking isn't it? Much like Switzerland, hence the post title, these immigrants are essentially temporary visitors. Despite pressure from international law to make it otherwise your chances of successfully applying for Emirati citizenship are slightly worse than winning the Euro millions lottery. 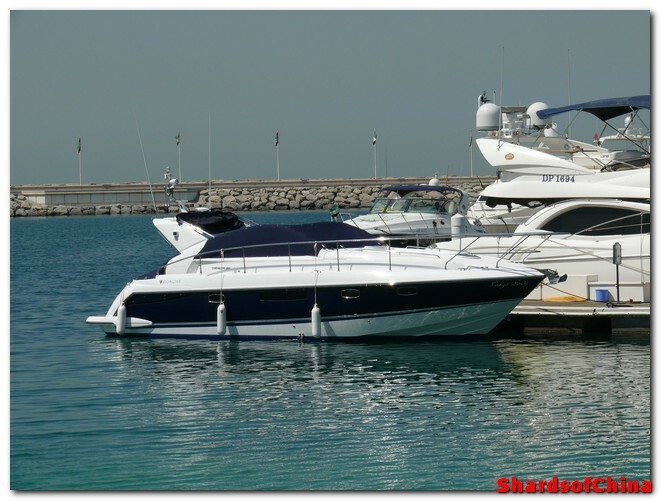 The deal Dubai makes is simple, it pays you a lovely (much higher than back home) tax free salary, you get to live in a country with minimal crime and all the pampering an adult could ever possibly need – but only in the good times. Just like the millions who cross the borders to work in Switzerland, when the economy goes down – you’re going home. Dubai was built on oil money but the money is running out, and the country is looking to develop a genuine industrial base as well as being a world leader in tourism. Sheikh Mohammed is a visionary leader for his people, and has invested hugely in education, the judiciary, health care as well as raising his people up with him. You may question some of the ways this has been achieved, but many countries could do well to learn from this example of how to succeed as one people, rather than pursuing loftier political agendas. That’s OK by me, Dubai is genuinely one of my favorite places in the world – and while there are some real problems in the country (which will be explored in later posts) it’s a wonderful place to start an expatriate career. In the main I have nothing but fond memories of the place, and its people and the people I worked with and for. Though that may not always be apparent in my blog posts – please try and keep it in mind.